This familiar commuter feeling has been commandeered by an innovative poster campaign.This seemingly ordinary subway poster features a doe-eyed girl sporadically blinking. When a train whooshes past, the model’s tresses fly up as though she’s been hit by a gust of wind. 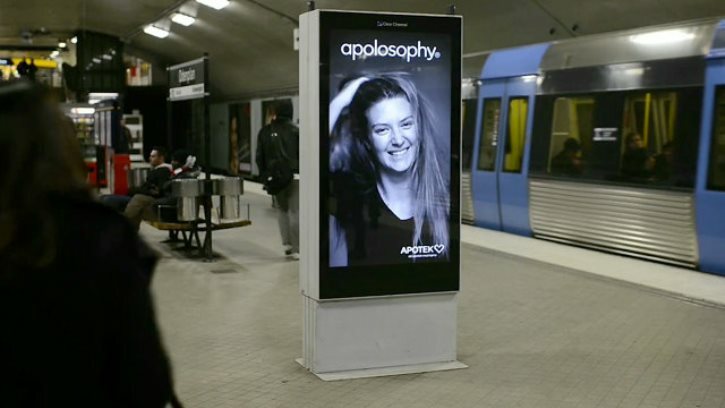 The girl in the advert then shakes her shiny mane, runs her fingers through her bouncy locks, smiles, and returns to her original straight-faced pose. 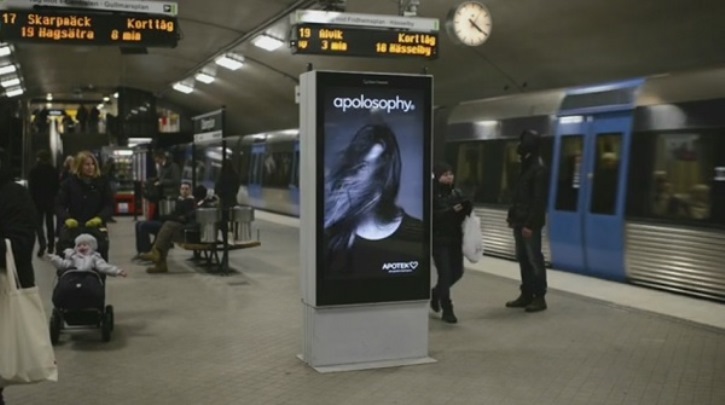 This experiential ad, promoting Apotek Hjärtat's haircare range Apolosophy, appeared on a Stockholm subway platform and reacted to the trains using ultrasound sensors. 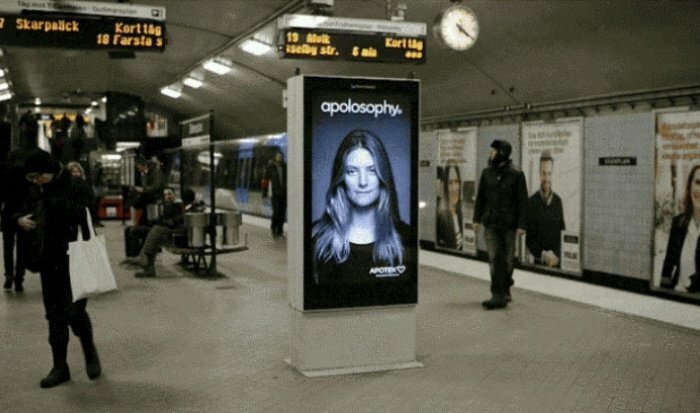 We loved this outdoor brand marketing campaign, and its beautiful bed-head tresses, and couldn’t help but feel charmed by the accompanying caption, “makes your hair come alive”. Designed not to be activated by passing passengers, the stunt, which was meant to be a one day wonder, was so successful it ended up causing a storm on the platform for five full days. At Because we’re big fans of advertising campaigns that have this interactive element and in the past this great British Airways billboard campaign caught our attention. We’ve noticed some similarly imaginative billboard campaigns popping up as of late, including a Russian campaign for a steak restaurant that involved flame-broiling a photograph of meat.